New Directions Publishing Corporation, 9780811215497, 135pp. 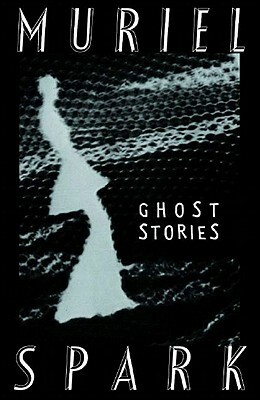 I aim to startle as well as please," Muriel Spark has said, and in these eight marvelous ghost stories she manages to do both to the highest degree. As with all matters in the hands of Dame Muriel her spooks are entirely original. A ghost in her pantheon can be plaintive or a bit vengeful, or perhaps may not even be aware of being a ghost at all. One in fact is the ghost of a man who isn't even dead yet. Another takes the bus home from work, believing she is still alive, though she is haunted by an odious tune stuck in her head (which her murderer had been relentlessly humming), and distressed by a "feeling of incompletion." And a reflective ghost recalls her mortal days of enjoying "the glory of the world, as if it would never pass. Spark has a flair for confiding ghosts: "I must explain that I departed this life nearly five years ago. But I did not altogether depart this world. There were those odd things still to be done which one's executors can never do properly." In her case the odd things include cheerily hailing her murderer, "Hallo George " and driving him mad. The remarkably nonchalant stories here include some of her most wicked and famous"The Seraph and the Zambesi," "The Hanging Judge," and "The Portobello Road"and they all gleam with that special Spark sheen, the quality The Times Literary Supplement has hailed as "gloriously witty and polished.